METABO is one of the global leaders in the manufacturing of power tools. The company originates from the German town of Nurtingen, accommodating METABO‘s largest production site, and one of the largest factories in Europe in general. Metabo stands for quality, reliability and product innovation, as evidenced by the ever-growing circle of satisfied customers. The history of the company dates back to 1924, when two young entrepreneurs, Albert Schnizler and Julius Closs formed “Schnizler GmbH” in Germany, inspired by the vision of mass production of exceptionally durably tools, which were in short supply in those difficult times. They subsequently ventured to expand the brand’s presence and make its products available to a broader group of users. An excellent salesman Walter Rauch joined the company in 1927, turning a new chapter for the company and beginning its speedy development. Two years later the company was renamed “Metabowerke GmbH” and was winning recognition year by year, both domestically and abroad. At the beginning, the company focused on the production of the market-first hand-held drills. At the turn of the 1930s, the processing of semi-products made of metal and wood required the implementation of new, efficient solutions to meet the ever-growing market demand. This resulted in the development of drill No. 18, which was the company’s first mass-produced device, selling in over 50,000 units. This is how the journey of the company to the global top began. In late 1930s, the company already employed 150 people, and satisfied users grew in numbers. In 1950, Metabo launched the world’s first angle grinder, in 1951, the first oscillating grinding tool and in 1957, the first mass-produced hammer drill, which constituted a genuine breakthrough. Dynamic development of the company meant that, towards the end of the 1960s, the company’s headcount already exceeded 1,000, and the company expanded to new countries. Metabo‘s products were launched on the Polish market in 1990s and relatively quickly gained recognition by the workmanship quality and reliability. They were initially distributed by Elektra Beckum and subsequently, in 1996, the company was bought out by Metabowerke GmbH setting out to conquer the Polish market, in 2003 already operating over 300 retail outlets nationwide. In 2006, products with Elektra Beckum logo finally disappeared, replaced by Metabo‘s logo, and now the number of products on the product offer already exceeds 360. Subsequent years brought with them further development and growing market share, combined with care for high standard of the offered products and customer service in terms of sales and maintenance. The Metabo brand is equivalent to high-quality and reliability of professional products suitable for even the heaviest-duty work. Metabo also stands for product innovation, as evidenced by the ever-growing circle of satisfied customers. 90 years of power tools production helps the company set new standards for efficiency, ruggedness and safety. All its devices come equipped with state-of-the-art solutions that offer a range of benefits to the users, enabling them to optimize the outcome of their work in the shortest possible processing time. This helps save precious time and cut down costs. Metabo is also the supreme level of maintenance, from the application analysis, through to tailor-made product and system solutions, quick maintenance and spare parts replacement, as the optimization of the customer’s work efficiency is the primary challenge for Metabo. 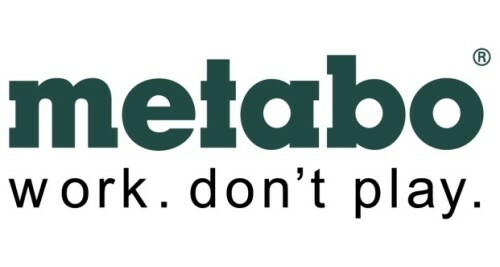 All these arguments make Metabo‘s products to be the first choice for users who are time and cost-conscious. These are users who want to be sure that they operate machines and devices that guarantee prime quality, reliability and exceptionally long service life. This is reflected then by maximum efficiency, in particular in the heaviest-duty working conditions.